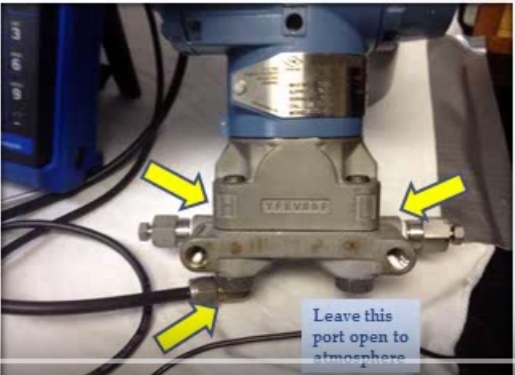 How to calibrate a Rosemount DP (Differential Pressure) transmitter with a HART Communicator ? 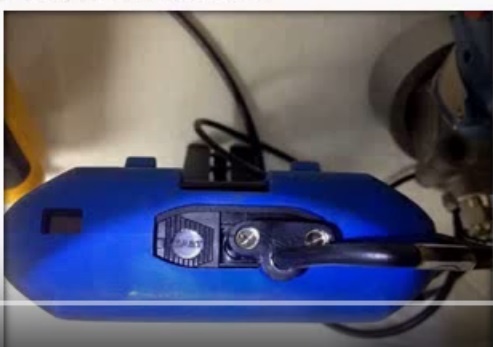 In order for you to be able to communicate with the DP transmitter you have to install a resistor in series with your power supply. After you have the resistor in series and the power supply connected,connect your HART 475 noting polarity. The HART 475 leads have to be inserted into the HART side of your communicator. When dealing with a DP transmitter you always want to connect to the “High side” with your pump to apply pressure (PSI). Make sure low side is vented to atmosphere . If you are dealing with a DP transmitter in the the correct way to test is to always have the transmitter in bypass and notify the control room operator of what is about to be done. It is very important to follow these steps failure to properly equalize will most likely result in deformation of the DP transmitter sensing element. When you are all powered up turn on your HART 475 on the first screen select HART. Use right arrow key to select your next option or OK button on touch screen. Go to the following menu. Now start with your zero calibration.Make sure you are vented on low side and the high side is vented on the test pump. Now its time to span the meter. 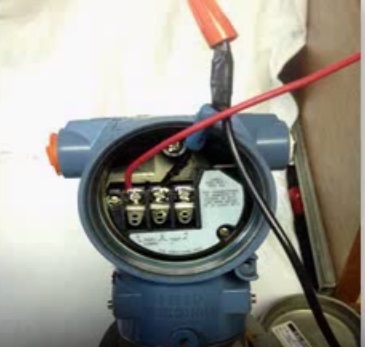 Make sure your test pump meter is reading zero when open then close the vent on your test pump. Select Upper using one on the the keypad or while selected the right arrow and follow the prompts on screen. Now its time to apply the upper range input. Start slow with the pump up to see how fast the pressure rises.Over ranging will cause damage. Select “OK” and follow prompts on the screen. After you select OK when the pressure is stable the next screen will allow you to tell exactly what it is reading. 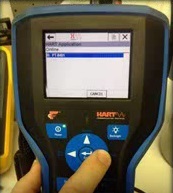 Enter in the text box the exact reading on your test pump the moment you pressed ok for the pressure being stable. What is HART transmitter ? What is the Common Industrial Protocol (CIP)?